AYO Technology Solutions, whose funding by state asset manager the Public Investment Corporation has dominated early testimony in the commission of inquiry into the PIC's investments, has commented publicly for the first time - praising the inquiry and criticising media for "negative and defamatory reporting". The company received a R4.3bn injection from the PIC when it listed listed on the JSE in December 2017. AYO shares have since fallen to R22.50 a share, raising questions over the application of the PIC's risk assessment measures. The PIC invests on behalf of the large Government Employee Pension Fund and four smaller state-run funds, including the Unemployment Insurance Fund. During the first three days of testimony this week, the commission heard that two senior officials had been suspended in relation to the AYO investment, while the corporation's head of internal audits testified that the AYO investment was approved without following due process. In a media statement, the IT company's board of directors said it welcomes the commission of inquiry but "notes with concern the ongoing negative reporting and speculation of impropriety and unethical conduct expressed by certain media entities". 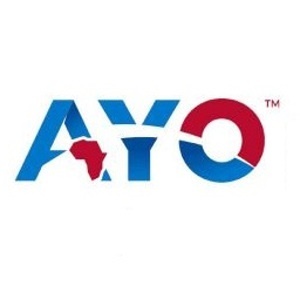 Despite the drop in AYO shares, the group's chair Dr Wallace Mgoqi said AYO was on a growth trajectory. Since listing he said it had established a pipeline deal, secured new contracts, grown shareholder value, created jobs, increased its profit and "confirmed various acquisitions in 'forward-thinking' businesses that complement the AYO portfolio". The board further stated that the technology firm had a strong balance sheet and has registered a "five-fold increase in profit before tax in the financial year to end-August 2018". The board hit out at the media for the way it has been covered saying "Negative and defamatory reporting by the media cannot be allowed to hamper the efforts of the commission. We reserve our rights in this regard." It did not specify what reporting it was referring to. Evidence presented to the commission by the PIC's head of internal audits, Lufuno Nemagovhani, detailed how the AYO transaction was allegedly concluded without following due process. "I have never anything like this before," he said on Wednesday. "[The investment decision] was signed off before the delegated committee could approve." On Tuesday the PIC said a preliminary forensic report into AYO investment "clearly reflects a blatant flouting of governance and approval processes of the PIC". Two senior executives, corporation's Head of Listed Investments Fidelis Madavo and Assistant Portfolio Manager Victor Seanie have been suspended. The PIC said report "clearly reflects a blatant flouting of governance and approval processes of the PIC". The report has not been shared with the media yet. The commission of inquiry will resume on Monday.